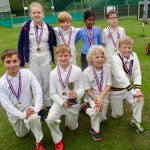 Great Melton’s Junior Festival once again proved to be a great success with 61 youngsters enjoying either an U11s ‘Pairs’ Tournament in the morning or an U17s ‘Sixes’ competition in the afternoon. 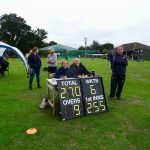 Cloudy skies, chilly temperatures and a rather gloomy weather forecast didn’t deter the club’s band of volunteers, or the youngsters and, in fact, only a brief light shower during the lunchtime presentations dampened an excellent day. 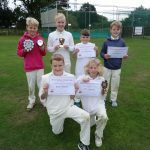 The ‘Junior’ pairs tournament was won by James’ Jets comprising James Alcock (Captain), Jake Canning, George Alcock, Freya Ballam, Rupert Beasley, Samia Mohammed, George Dunscombe and Eddie Wedge who beat Noah Moore’s ‘Nighthawks’ in the final. 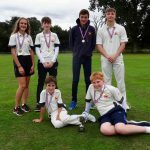 Josh’s Jaguars’ team of Josh Wright (captain), Tim Nutt, Megan Ellse, Ollie Leinster, Ben Johnson and Sam McKay were the ‘Senior’ winners beating Caitlin Ellis’ ‘Crusaders’ in the final. 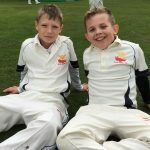 Players of the Tournament were Odin Thomas (U11) and James Bridges (U15). 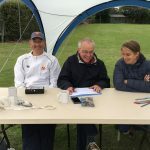 Chairman, Steve Phoenix, thanked the huge team of volunteers who have run the club’s junior section throughout a busy season that has included 76 fixtures of which 49 were won. 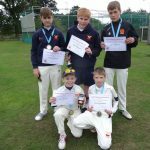 Notable successes were the U15s winning the Alliance Andy Seeley Cup and the SNCL Carnival Cup; the U13s winning the SNCL South Breckland League; the U11s winning the SNCL Carnival Cup and the Gresham’s Tournament and the U13 Girls winning the Norfolk Cricket Board Lady Taverners’ Trophy. 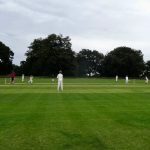 Ten juniors have represented Norfolk and one, Odin Thomas, Suffolk. 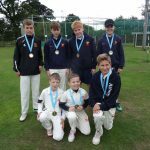 The U13s were presented with a trophy and the SNCL winners medals. 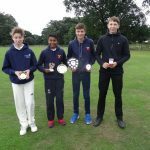 Their Player of the Year was Ben Johnson who made his mark in senior cricket as well as scoring 275 runs and taking 9 wickets and 5 catches for the U13s. Henry Marsh was ‘Most Improved’ and Sam Davey got the Coaches/Manager’s Award for his all round contribution and his excellent attitude on and off the pitch. 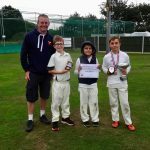 Leading run-scorer Blade Earley, who has hit 240 runs, was the U11s Player of the Year with Dylan Crawley ‘Most Improved’ and George Ryan the Coaches/Manager’s choice. 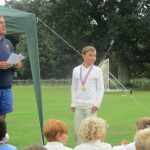 In the U9s George Alcock was the clear winner of the Player of the Year Cup, having scored over four times as many runs (171) than any other player. The Most Improved Player Trophy went to Will Joyner and the Coaches/Manager’s Award to Jack Joice. 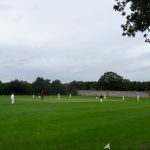 Melton are the only club with a girls’ team, the U11s, competing in a league against teams mainly made up of boys but they did well and Niamh Rushton, with 7 wickets (including 4-10 against Norwich) was the first winner of the new cup for the Junior (U13) Girl Player of the Year. Izzy Barlow was ‘Most Improved’ and girls’ captain, Amelia Browning, won the Coaches/Manager’s Award. 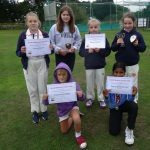 There was also a trophy for Poppy Bugg who picked up the SNCL U9s ‘Best Bowling Performance’ salver for her 5-5 against Norwich U9s. The final award, the Alan Barnard Cup for the ‘Young Volunteer of the Year’, was presented by Coaching Coordinator, Ryan Hayward. 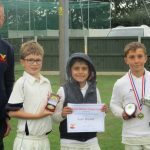 Caitlin Ellis and Ethan Rushton were serious contenders but the cup went to Kyle Weston who has served on the Junior Committee, been outstanding and committed as assistant coach with the U9s and has helped out at Cricketforce, been a member of ground working parties and assisted with with the Junior Festival.